The use of wearable technology could help prevent accidents from worker fatigue that put the safety of all workers at risk. Employers are required to maintain a safe work environment for their workers. Employees that are injured on the job are entitled to workers compensation. Today, wearable monitors such as Fitbits are commonly used by athletes and active adults to monitor heart and respiration rates during physical activities. Now, similar wearable technology is proving to be a valuable tool for worker safety. A recent report from the American Society of Safety Professionals (ASSP) recommends that employers embrace the use of wearable technology in the workplace to detect fatigue and help keep workers safe. Worker fatigue increases the risk of injury-causing accidents in the workplace. Occupations most prone to worker fatigue include jobs in manufacturing, construction, warehousing, and truck driving, which are industries where the risk for injury is already high. Fatigued workers, including those suffering from sleep deprivation, put their colleagues at risk for injury because of inattentiveness, lack of productivity, and poor job performance. This could also increase the workloads of their fellow workers and increase their levels of fatigue. How Can Wearables Help Reduce Accidents? By using wearable sensors in the workplace, data regarding workers’ safety performance can be saved and analyzed to pinpoint where fatigue may impact worker safety. This data can be used to discover patterns that could lead to injuries. Wearable sensors can detect movement, posture, falls, pulse rate, and respiration rates. The data obtained can be used to determine workers’ fatigue and the risks involved in different types of injuries. The knowledge gained from this data can improve existing safety programs by re-evaluating the need for adjusting the timing of breaks or the addition of ergonomic aids in the workplace. Choose wearables that are geared to their industry and the safety problem they want to resolve. Explain to workers how data will and will not be used. Train workers on how to properly wear and maintain sensors. Give employees the option to opt-out or not share their data from the monitoring program. 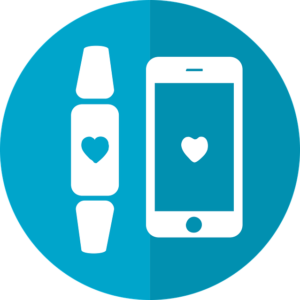 Integrate what data is gained from the sensors into existing employee wellness programs.